Mission Laboratories is leading manufacturers and marketers of Pharmaceutical formulations and recognized in the market, due to our ability to manufacture, export and supply a diverse and qualitative range of Pharma Products like Tablets, Capsules, OralLiquids, Dry Syrup, Powders, Injections, Sachet and Mouthwash. To formulate our range, we use hygienic ingredients that we have sourced from the authentic and reliable vendors of the market who hold rich expertise in this domain. We give franchise/ monopoly on PCD. 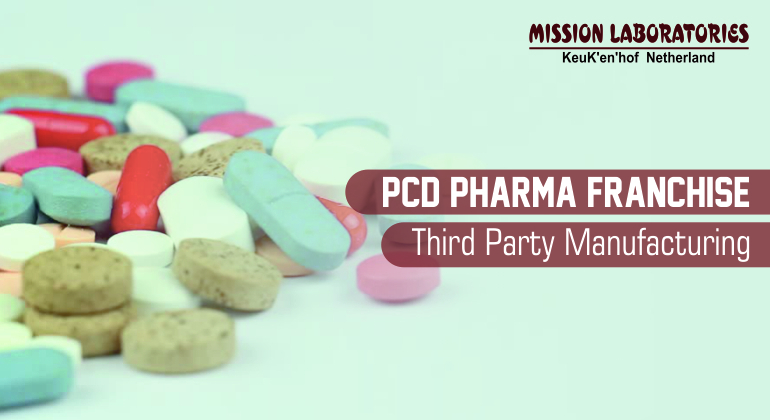 Mission Laboratories is well known as PCD Pharma Franchise. Company in Baddi, India. Mission Laboratories spread there business at the unrepresented areas through appointment of new franchise / distributors / sole distributors / pcd franchise. Mission Laboratories have installed latest and advanced machines to formulate our range as per the industrial standards (GMP Certified). With a worthy experience, we provide a wide range of Pharmaceutical Bulk Drugs. These are formulated using superior quality of ingredients at the manufacturers end. We have an expert team of quality controllers, which is responsible to stringently monitor complete ongoing business at each and every stage right from the sourcing of products till the final dispatch at the clients end.MISSION LABORATORIES is continuously expanding its business at various fronts by appointing new pharma franchise/wholesale distributors/sole distributors/ product monopoly. In order to tap the global market, the company is planning to launch massive programs for better pharmaceutical manufacturing and drug delivery models across the globe.